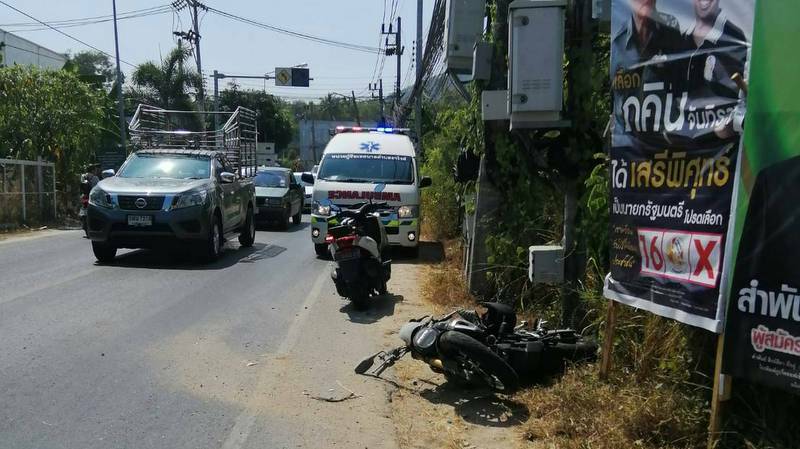 PHUKET: A 70-year-old British man has died after his motorbike hit a pickup truck in Rawai yesterday afternoon (Mar 11). 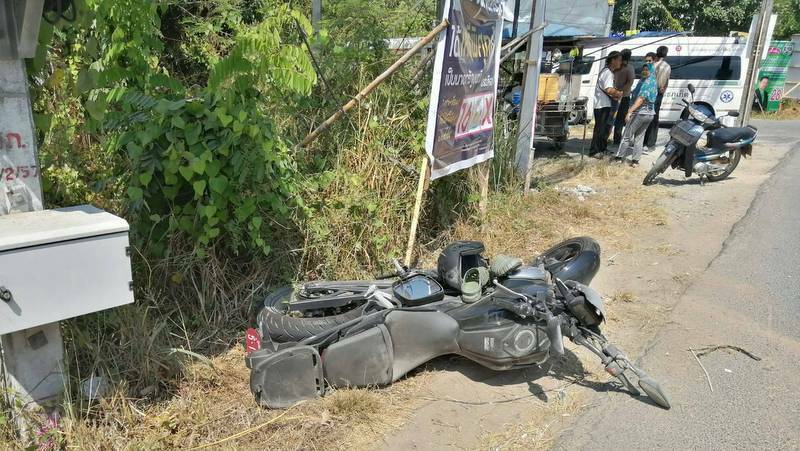 The accident happened at about 1:55pm on Saiyuan Rd where police arrived shortly afterwards to find a black Honda motorbike lying on the side of the road with its driver, a 70-year-old British man, lying face down on the road unconscious. 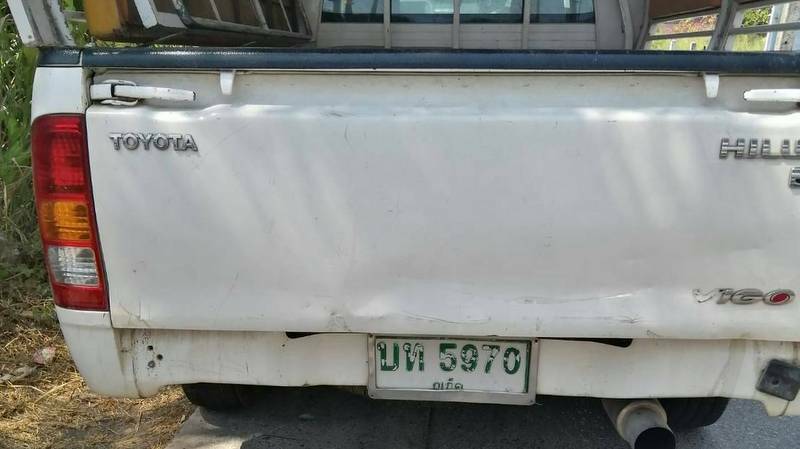 Lt Jaruwit Khuncharoen of Chalong Police told The Phuket News, “The driver of the pickup truck, Wuttichai Muangmeesri, 27, was waiting at the scene when we arrived. “Mr Wuttichai said he was driving along Saiyuan Rd and there were two other pickup trucks behind him. 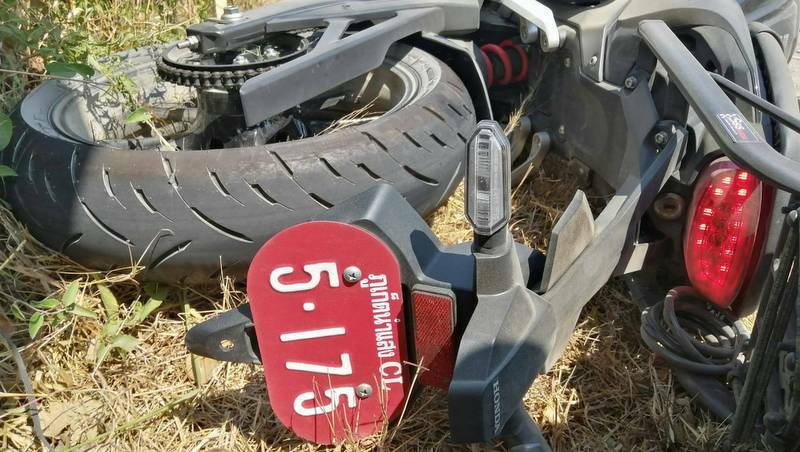 He said he slowed down to turn right onto Soi Pattana and as he started to turn, the motorcycle hit the rear, right side of the truck and slid into a power pole as it tried to overtake in the oncoming lane,” Lt Jaruwit explained. 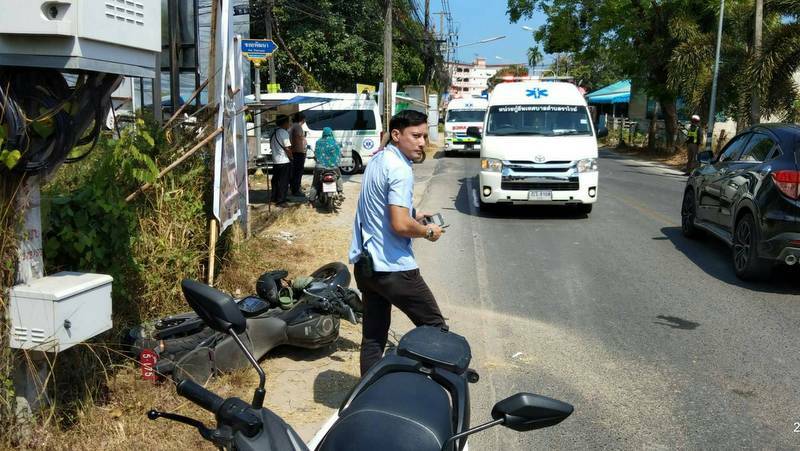 Mr Nattapol Kaewpraju, a Rawai Municipality rescuer worker, said, “When I arrived at the scene at 2.06pm, the motorbike driver was lying face-down on the road, unconscious, wearing a helmet. Lt Jaruwit confirmed that he has coordinated with the British Consulate to notify the man’s relatives in Britain as he does not have any relatives in Phuket. He noted that the accident happened on a road where overtaking is prohibited. 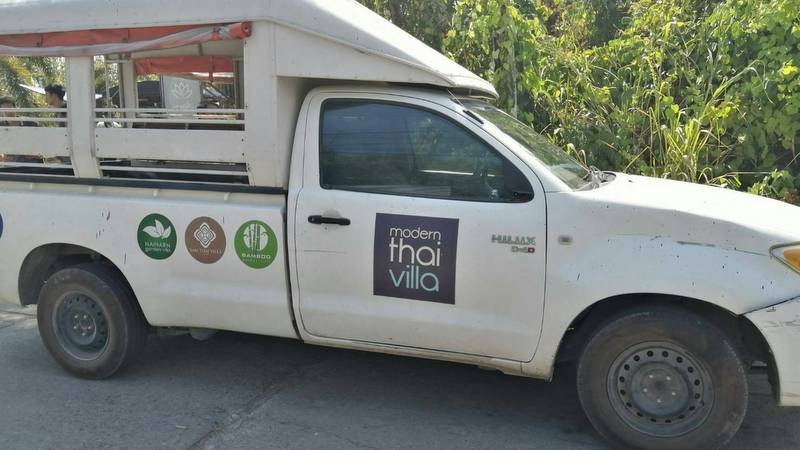 The British man's name has been withheld by The Phuket News until his relatives have been notified.